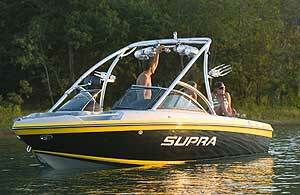 Supra takes tow boat design and wake surfing performance to a new level with its SC400. It seems the wide-bow design has taken over the high-end tow boat market but it’s not for everyone; buyers who still prefer the pointy bow will want to see the Supra SC400. The SC lineup is based on the Supra Competition hull, a design that was intended to create large, well-formed wakes, yet still handle well and offer a comfortable ride in rough water. The numbers in the design nomenclature pertain to the engines that are available in the SC line. The standard engine is the 400 horsepower 6.2 liter V8 sourced from Ford’s Raptor pickups. Standard power is plenty for the 4,300-pound SC, but for those who crave more power, there is a 440 HP version available for $5,740 more, or the supercharged 575 HP mill, the upcharge for which is $17,340. That might seem like a lot because, well, it is. You have to really want that extra oomph to spring for it. 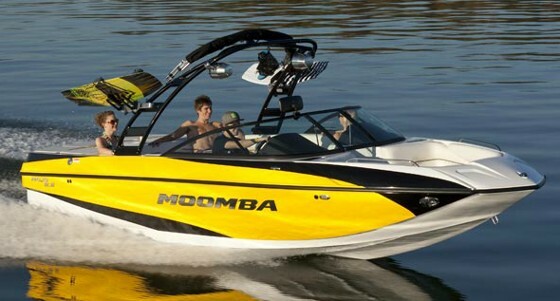 Get your wake surfing fix - big time - on the Supra SC400. Given its base price of $104,600, the SC400 is nicely outfitted in standard trim. 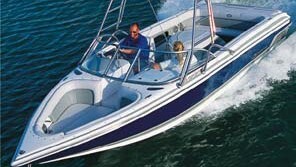 For example, the boat comes with the company’s Pro Edge Bimini top and a swivel driver seat that also is heated and fitted with flip-up bolsters to increase outward visibility when docking. The dual-axle trailer is also standard and it comes with a swing-away tongue. The swim platform also is removable, and when combined with the swing-away tongue, you can store the SC in a standard-depth garage, saving storage costs. 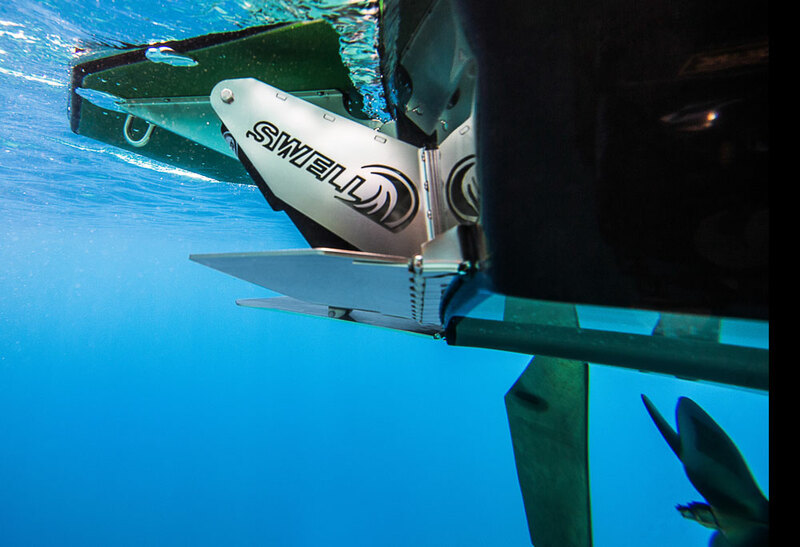 The Swell Surf 2.0 system is an option, one which hard-core wake surfing lovers will want. 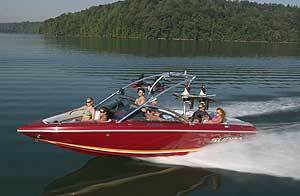 In terms of watersports pedigree, the SC400 has it in gobs. The Zero Off GPS cruise system is standard as is the Smart Plate technology multisport wake plates. The Swell Surf 2.0 system is a $2,680 option. The SC400 also comes standard with three ballast tanks, two in the rear and one up front, for a total of 2,900 pounds of water weight. Dual tracking fins keep the boat on the straight and narrow and the Pro Edge tower gives riders the lift they need. The tower accent lights are standard, but swivel board racks are not, which seems like a mistake. If you’re going to sell a boat geared toward wakeboarding and wake surfing for nearly $105k it should have the kind of board racks everyone wants. There's plenty of seating on the Supra SC400, and the port-side lounge also comes with a flip up backrest to provide rear-facing seating options for up to four people. Inside, the SC400 is as plush and feature-laden as you could want. The cockpit lounges are wide and spacious, with loads of stowage underneath, especially beneath the observer seat to port. For the driver, the helm comes with an industry-first steering-wheel-mounted controls for the stereo, Swell Surf system, camera, wake plate and cruise control adjustments. That’s very cool. The data is displayed on the Supra Vision dash ahead of the steering wheel so the driver knows all the current settings, too. It’s nice to know Supra can pack a ton of contemporary features in a time-honored hull design and not miss a step. 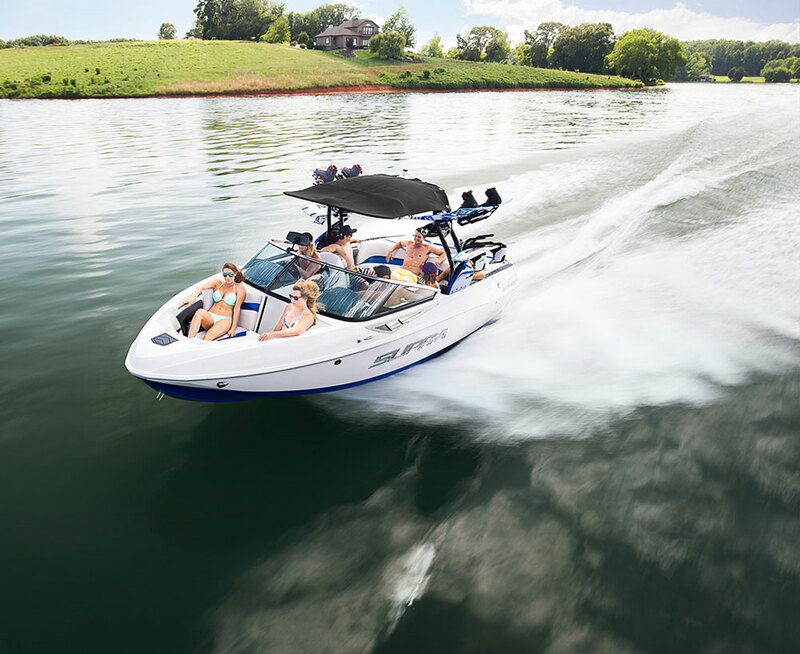 That’s what the SC400 brings to the modern tow boat marketplace – and what wake surfing enthusiasts are sure to enjoy. Other Choices: The slightly larger Mastercraft X46 is another stiff competitor, but it has that wide bow, pickle-fork design. 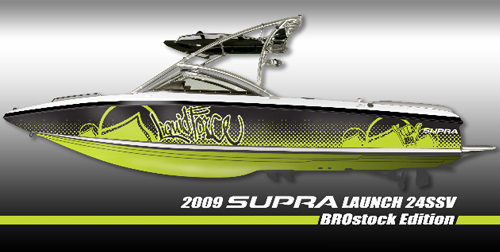 Another to check out is the Super Air Nautique G25. For more information, visit Supra.